Boo Edgar is Associate Professor at the University of Gothenburg and Chalmers University of Technology, with a Medical Science Doctorate in Clinical Pharmacology at the University of Gothenburg, Sweden and have published more than 100 scientific and working papers. Boo had a career in research and marketing within pharmaceutical industry and life science area, including clinical pharmacology and clinical research, and strategic product life cycle management before engaging in new life science initiatives as regenerative medicine and education and other entrepreneurial efforts. Since 2002 Boo have been involved in close to 45 start up companies as part of the Venture Creation Programme in both bio-science as technical area in Gothenburg. He has been a Venture Director at California Technology Ventures LLC, CEO in A+ Science Venture Fund and several start up’s as Cellartis and CIP-PS and involved as a board director in several others. Boo Edgar will make a presentation on November 28, 14:00-14:30 about the Swedish experiences in translating research findings into practice. Ülle Jaakma graduated from University of Tartu in 1980 with a PhD degree in biology. Ülle Jaakma has been working as senior researcher since 1992 and as professor since 2002 in Estonian University of Life Science. From 2009 Ülle Jaakma has been head of the development of animal assisted reproductive technologies area in The Competence Centre on Health Technologies. Since 2013 Ülle Jaakma is Vice-Rector of Research in Estonian University of Life Sciences. Ülle Jaakma is moderator of the session “Competence Centres in health technologies” on November 28. Urmas Klaas graduated from University of Tartu in 1998 with a master’s degree in history. Urmas Klaas has worked as a Estonian history lecturer in Tartu University from 1994 to 2003, in newspaper Tartu Postimees as editorial chief from 1995 to 2003. He has worked in the Ministry of Education and Science as a director of information management department. Since the spring of 2014, Urmas Klaas is the mayor of Tartu. Pirko Konsa graduated from University of Tartu in 2002 with a bachelor degree in national economy and banking. In 2000-2007 Pirko Konsa worked in Estonian Ministry of Economic Affairs and Communications, as head of the enterprise department being responsible for enterprise policies. In 2007-2013 he was a member of the board of the Tallinn Science Park Tehnopol and 2011-2013 Biolaborid OÜ. Since 2013 Pirko Konsa have been COO at the Estonian Development Fund. Kristjan Lepik graduated from University of Tartu in 2000 with a master’s degree in corporate finance and investments, banking and financial management. During the years 2000-2006 he worked at LHV Bank as brokerage unit manager. In October 2006, Kristjan Lepik launched the independent financial portal ww.tarkinvestor.ee and related consultancy firm. Since 2012, he has been the member of Estonian Development Fund in Development Monitoring Division and is responsible for the analysis of “smart specialization” to find areas in which Estonia will have a greater potential for business and scientific cooperation. Lepik has lectured on investing and trading in various seminars, conferences and the universities. Kristjan Lepik will make a presentation on November 27, 11:45-12:15 about business person view of global economy trends in technology transfer. Carlos Lurigados holds a Veterinary Bachelor and a post degree in Pharmaceutical Industry Medicine (Universitat Autònoma de Barcelona), a Project Management Master (La Salle – University Ramon Llull) and the Project Management Professional certificate (Project Management Institute PMI). Carlos Lurigados has worked more than fifteen years in Pharmaceutical and Biotech companies as a Clinical Project Manager, R&D Project Manager, and Project Office Manager, he was linked to Hospital Clinic of Barcelona. Nowadays, he is Head of Entrepreneurship and Business Growth at Biocat, he is responsible for leading strategic projects that favor growth and consolidation of the biotechnology, biomedicine, and health technology sectors in Catalonia. Toivo Maimets graduated from University of Tartu in 1980 with a master´s degree in biology and in 1991 with PhD degree in molecularbiology. In 1993-1995 Toivo Maimets was dean of the Faculty of Biology and Geography, 1995-1998 Pro-rector for Research and Development and since 2008 Director of Institute of Molecular and Cell Biology in University of Tartu. Since 2000, he has been a professor of cell biology at the University of Tartu. In 2003 – 2005 Toivo Maimets was Minister of Education and Science representing the party Res Publica. He is a member of the Tartu City Council, the Science Centre AHHAA, the Estonian Biotechnology Association, the Estonian Research Council, Tartu University Council and Europe and American Association for Cancer Research. Erki Mölder graduated from University of Tartu in 1997 with a master’s degree in investment and banking. In 1999-2000 Erki Mölder was Director of Purchasing Department in Kalev AS, in 2000-2008 he was CEO in medical laboratory Quattromed. Erki Mölder has been member of board in Nova Vita Clinic (2010-2011), MediCap Holding AS (2008-2013), Estonian Biotechnology Association (2003-2014) and Association of Estonian Private Healthcare Providers (2011-2014). At the moment Erki Mölder is Member of Supervisory Board in Enterprise Estonia and mentor at Tallinn Technology Park Tehnopol. Erki Mölder will make a presentation on November 27, 16:00-16:30 about Quattromed story: from university spin-offs to international corporations. Eve Pakkas will make a presentation on November 28, 9:00-9:30 about the Competence Centre program in Estonia. Erik Puura graduated from University of Tartu in 1992 with a master’s degree in Environmental and Pollution Control and from KTH Royal Institute of Technology in 1998 with a PhD degree in chemical engineering. In 1998-1999 Erik Puura was guest researcher in Royal Institute of Technology, Stockholm. During 2001-2003 Erik Puura was national detached expert in European Commission, Joint Research Centre. In 2003-2007 he was vice president and 2007-2012 president of University of Tartu Institute of Technology. Since 2012 Erik Puura has been vice rector for development of University of Tartu. 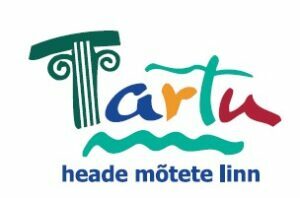 Erik Puura will make a presentation on November 27, 10:45-11:15 about experiences of technology transfer in the field of health technology in University of Tartu. Indrek Reimand graduated from University of Tartu in 1989 with a master’s degree and in 2000 with PhD degree in physics. Indrek Reimand has worked at the Institute of Physics of the Academy of Sciences as junior researcher and engineer, been guest lector at the University of Hamburg, member of the Board of the Estonian Information Technology Foundation and the Estonian Ministry of Science as head of Research Unit. Since 2012 Indrek works in the Ministry of Education and Science, as deputy secretary general for Higher Education and Research. Indrek Reimand will make a presentation on November 28, 14:10-14:30 about ministry´s view of successful technology transfer. Andres Salumets graduated from University of Tartu in 1993 with a master´s degree in biochemistry and from Helsinki University in 2003 with PhD degree. He have worked as researcher from 1999 in Helsinki Infertility Clinic of Family Federation of Finland, University of Tartu and Estonian Biocenter. In 2003-2010 Andres Salumets was head of management board in AS Nova Vita Clinic. Since 2010 he has been professor in University of Tartu and member of the management board of The Competence Centre on Health Technologies. Since 2011 Andres Salumets is President of Baltic Fertility Society and since 2013 Member of the Executive Committee of ESHRE (European Society of Human Reproduction and Embryology). Andres Salumets will make a presentation on November 28, 10:00-10:30 about experiences The Competence Centre on Health Technologies. Nadine Schmieder-Galfe holds Master´s degree of Bioengineering (Technische Universität Dresden) and MBA (Dresden International University). She has worked as scientific coordinator at the Centre for Recreative Therapies Dresden (CRTD), at the start-up supporter Dresden Exists and as scientific manager at the university hospital Dresden. Her main focus is on the coordination and application of national and european consortial proposals in the field of Life Science, focusing on technology transfer. Epp Songisepp graduated from University of Tartu in 1989 with a master´s degree in biology and 2005 with a PhD degree in microbiology. Epp Songisepp has worked as microbiologist and production manager in Starter ST OÜ and Ldt Estar Strip. Since 2005 Epp Songisepp has been Senior Researcher in Bio-Competence Centre of Healthy Dairy Products. Epp Songisepp will make a presentation on November 27, 14:30-15:00 about Lactobacillus plantarum TENSIA and Südamejuust – functional products with high export potential developed by Bio-Competence Centre of Healthy Dairy Products. Hardi Tamm graduated from University of Tartu in 2003 with a master´s degree in business administration. In 2002-2003 Hardi Tamm was region Manager in Kalev AS and in 2005-2013 sales and marketing manager in Icosagen AS. 2013-2014 Hardi Tamm was development manager of Estonian Cell Therapy Cluster and from 2014 development manager of The Competence Centre on Health Technologies. Hardi Tamm is moderator of the session “Technology transfer in health technologies: Best Practices” on November 27. Indrek Tammeaid graduated from University of Tartu in 1989 with a master´s degree in geology and from Hanken School of Economics in 2001 with a master´s degree in Service Marketing and CRM. In 2001-2011 Indrek Tammeaid was head of corporate affairs, R&D collaboration and alliances in Helsinki University. In 2009-2014 he was senior business advisor in Greater Helsinki Promotion. Also he is founder and CEO in Finsight Ltd. and CMC Consulting Group. Indrek Tammeaid will make a presentation on November 28, 13:30-14:00 about Strategic Partnerships with Industry. Andrus Tasa graduated from University of Tartu in 1991 with PhD degree in genetics. In 1998-2001 he was head of R&D department in University of Tartu. His responsibilities included R&D management, innovation, foreign relations, the university’s intellectual property protection and large-scale development projects. Since 2001 Andrus Tasa has been CEO in Tartu Biotechnology Park AS and since 2006 CEO in TBD-Biodiscovery OÜ. Andrus Tasa is moderator of the open session “Smart specialization – health technologies” on November 27. Andrus Tasa is moderator of the session “What is needed for successful technology transfer in health technologies?” on November 28. Urmas Varblane graduated from University of Tartu in 1984 with a master´s degree in cybernetics from Moscow State University in 1989 with PhD degree in economics. Urmas Varblane has worked in various positions at the University of Tartu since 1984 and since 2001 he has been professor of international business. In 2009 he was elected a member of the Estonian Academy of Sciences in the field of economics, from the same year he has been the director of the Estonian Academy of Sciences in Humanities and Social Sciences Department. Since 2009 he is member of the Board of the Bank of Estonia. His main research areas are the role of foreign investements in restructuring the economy, national innovation systems, sectoral systems of innovation in mature industries, the economic convergence process and the internationalization of enterprises. Kadri Vunder graduated from Tallinn University of Technology in 1999 with a master´s degree in analytical chemistry, Bellevue City University in 2002 with a master´s degree in marketing and University of St.Gallen in 2008 with PhD degree in marketing. In 2008-2009 Kadri Vunder was head of private banking business unit in Swedbank. Since 2009 she has been general manager and founder of LSVenture GmbH. Since 2009 Kadri Vunder has been supervisory board member in Biotap OÜ and since 2010 supervisory board member in Delicioustaste AG. From 2013 Kadri Vunder has been partner and investment manager in Swiss investment company Aravis. Kadri Vunter will make a presentation on November 28, 13:00-13:30 about attracting investors.